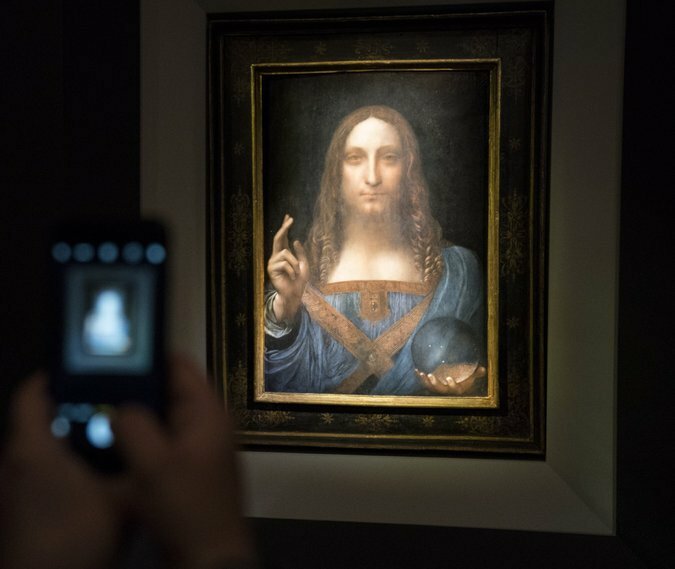 Leonardo Da Vinci's painting "Salvator Mundi" was sold on Wednesday for $450 million, beating an auction record held by Picasso's "Women of Algiers" which was sold for $179.4 million in May, 2015. Going into the auction, many critics questioned the authenticity of the painting and also pointed to its damaged conditions as a downside, yet, the excitement in the auction room was palpable as bids climbed by twos and fives, and even by tens initially. There were five bidders in total - four on the phone and one present. The buyer is not known at the moment. The price is monumental, especially considering the market for old masters art is reducing due to varying reasons, part of which is the public's demand for contemporary arts and limited supply.